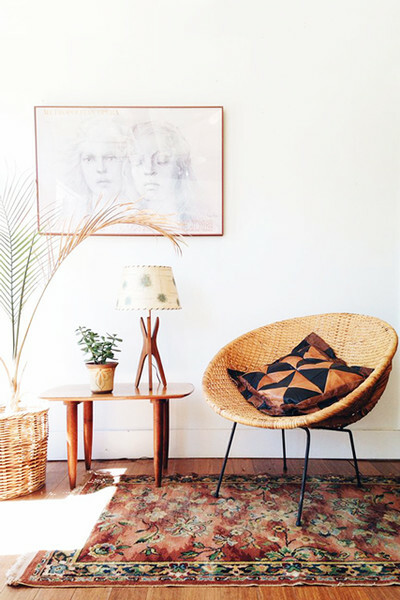 Proper lighting is very important in a small apartment, but a floor lamp can be a bit of a burden. 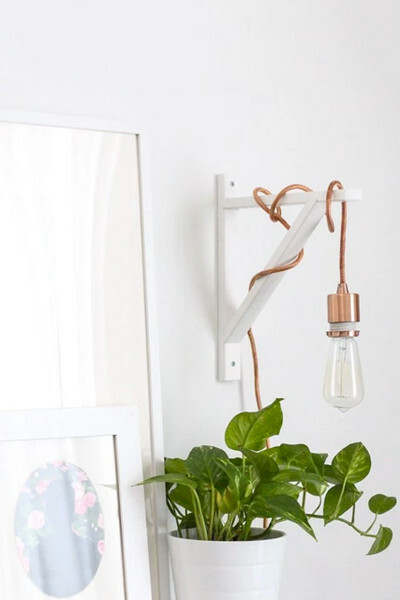 This cool DIY helps lighten up your room and leave more space free. 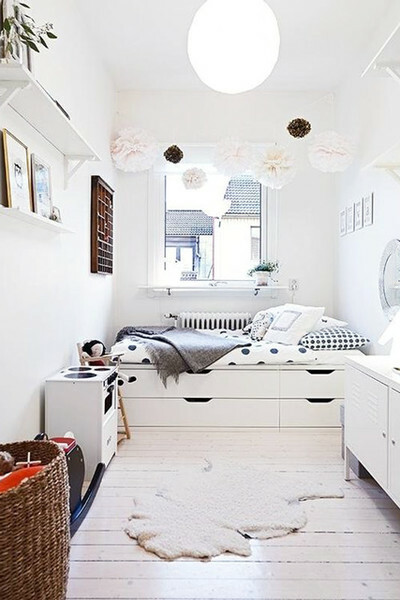 We all know IKEA storage beds are amazing, but did you know that you can hack one? This platform bed was created using the IKEA STOLMEN closet system as its base. 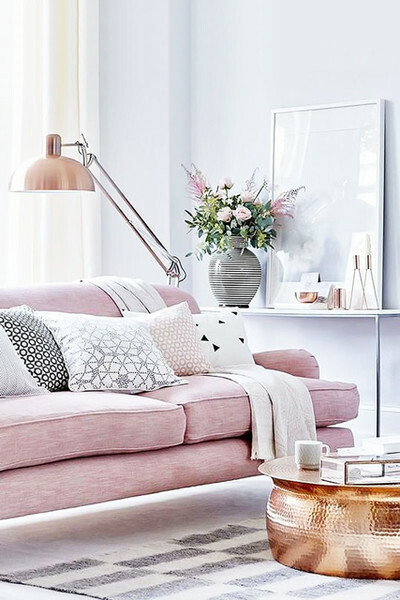 There’s a reason why people call a space with too many clashing colors “busy.” If your room is small, try to keep your colors within a certain complimentary palette. 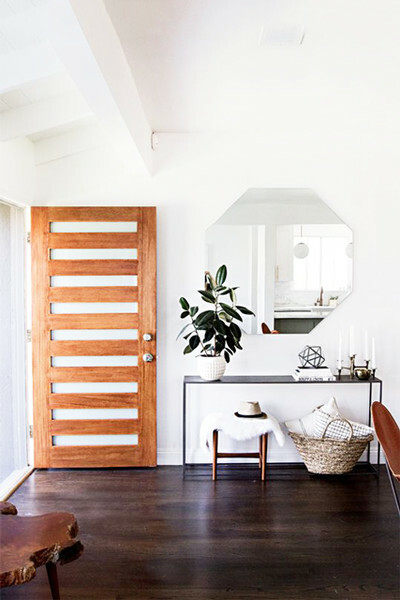 Adding reflective surfaces is the easiest way to open up a tiny space. If you have a room that feels too cramped, putting in a mirror is going to make such a huge difference. 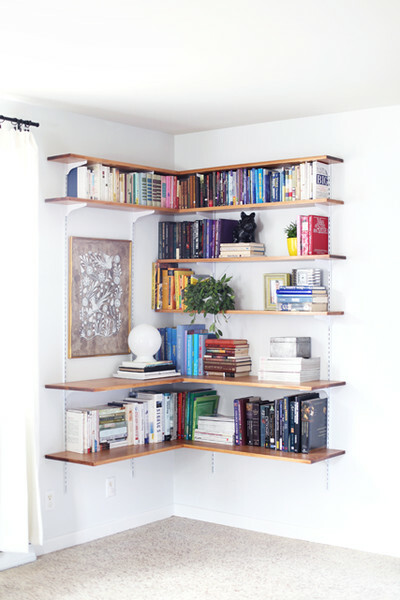 Shelving units are great for adding some much-needed organization to a home, but they can also take up quite a bit of space. 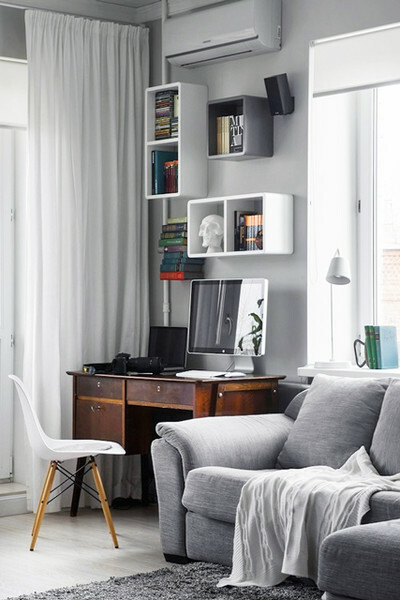 Consider using floating shelves instead that let you place other furniture pieces below. 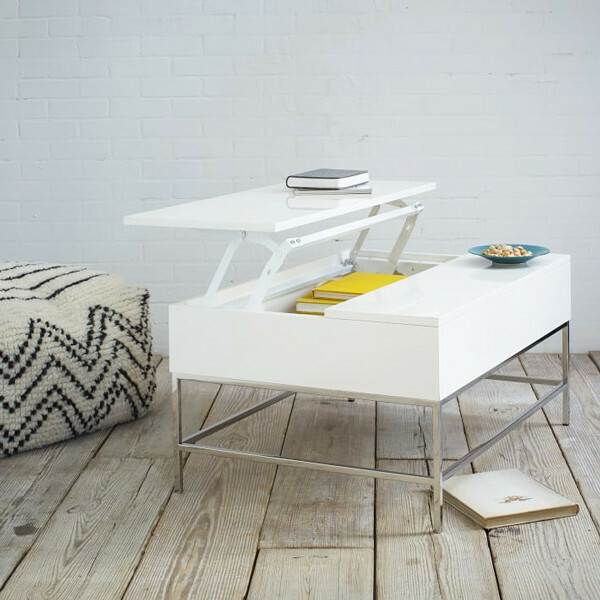 A hideaway-style desk is such a great solution for a small apartment. Just pull up a chair when you need to get work done. 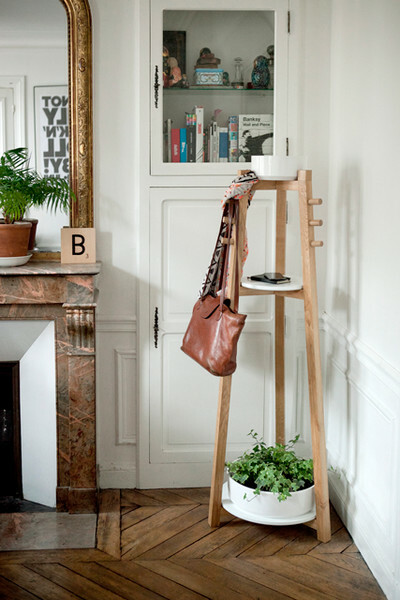 Items that serve multiple functions like the HOP coat rack are great investments to make the most out of your space. 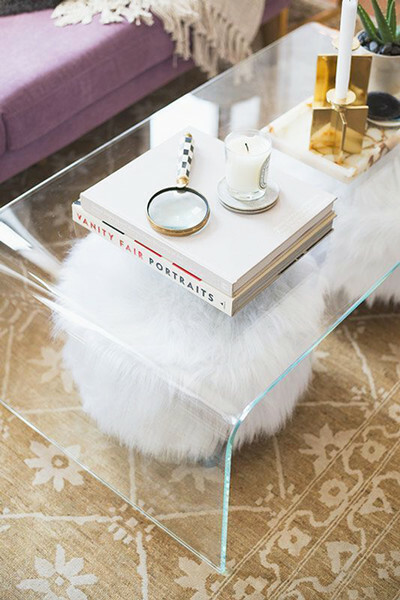 A clear lucite or acrylic coffee table is easy to move, creates the appearance of more space, and in this case, shows off other decor pieces stored below. What a win. Don’t have much surface area in your bedroom? 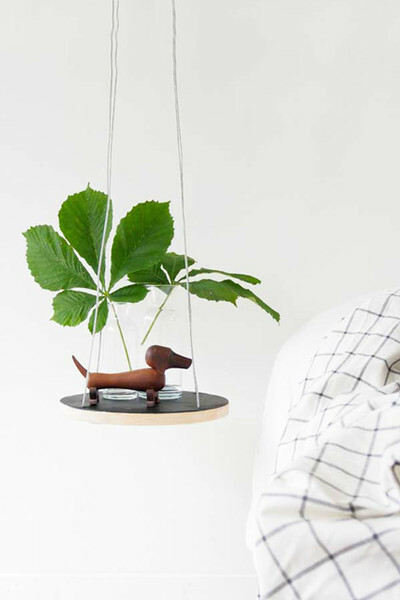 Hanging your nightstand is one solution to maximize your space. Mid-century furniture is a great option for a smaller apartment since thin legs don’t create large breaks in the visual plane. 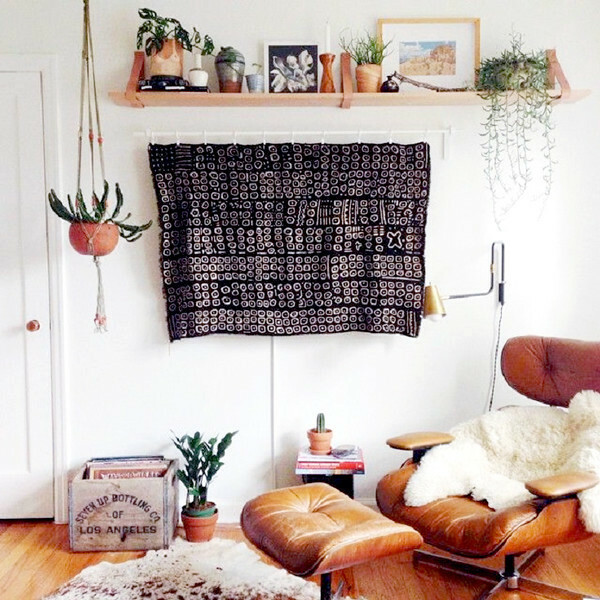 Since a TV can be a total eyesore, we suggest hiding it away with a piece of decor. 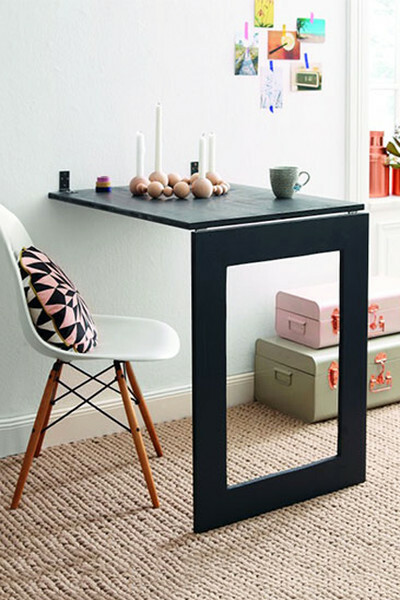 Want to add a table to your extremely narrow hallway? Make room by chopping it in half and securing the piece to the wall. Have a vintage trunk work double duty as both a coffee table and a storage solution. 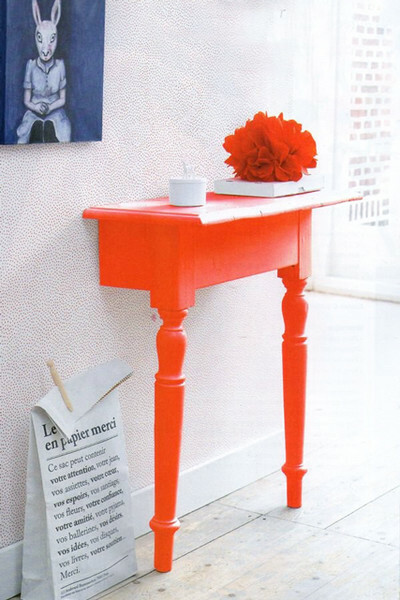 Have a console table? We suggest tucking away stools or extra storage baskets underneath. When buying furniture for your apartment, look for pieces with hidden storage like this cool West Elm find. 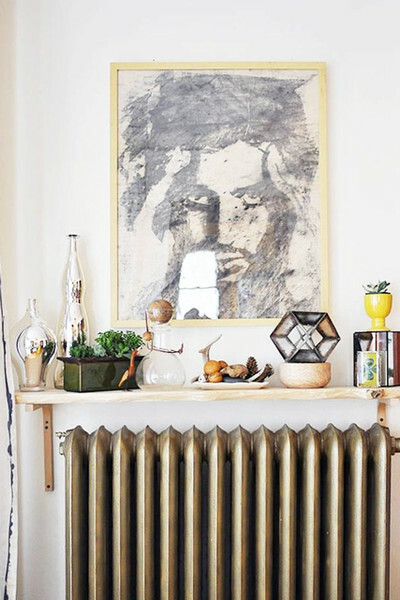 Stuck with a radiator that takes up major space? 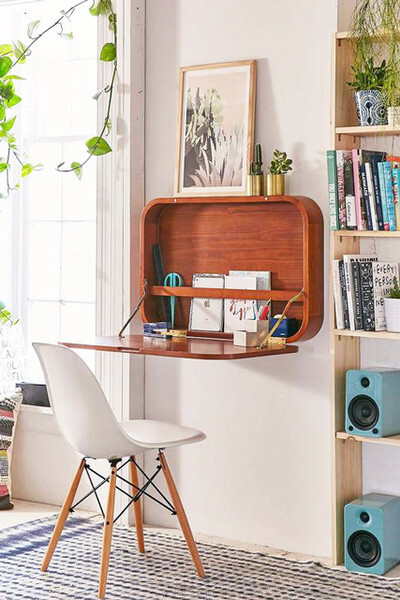 Place a shelf above and convert it into a cool base for your décor items. Instead of cramming a cabinet in a corner that could make your room feel claustrophobic, create a shelving system that opens it up. 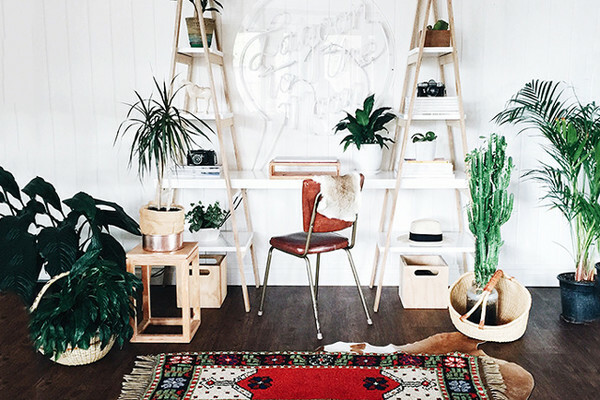 Live in a studio apartment? Create the illusion of separate rooms with tile and furniture pieces that break up the space. If you work from home, creating a productive work area is such an essential. If you don’t have a separate room for your office, we suggest designing a small, yet super creative space along a wall like this. Scared of heights? This hack might not be for you. 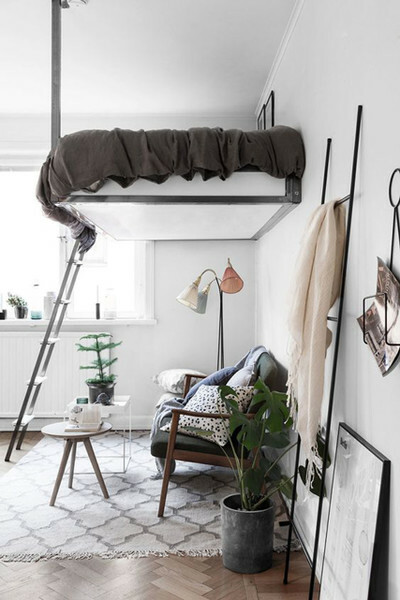 But if you are stuck in a tiny apartment, a lofted bed can make such a huge difference. Have no room for a dining table? 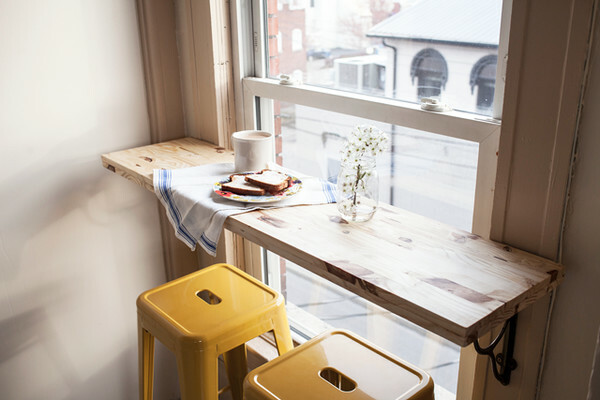 Attach a shelf to a window and pull up a couple of stools for your own private café counter. If you converted a space into a bedroom to lower rent, chances are that you’re going to have to hack your way around some tricky situations. Here, a shelf makes the most out of an irregular break between the window and the bed. 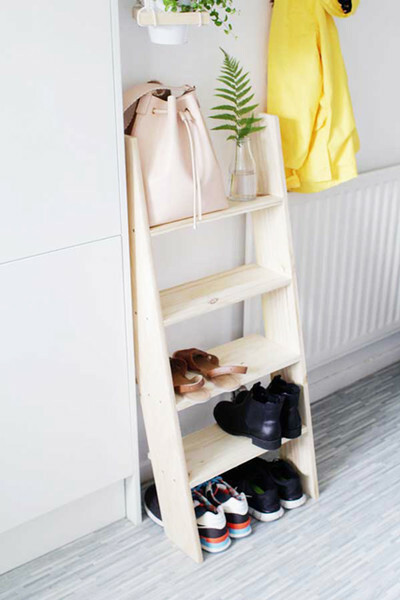 Ladders don’t take up that much space and can serve as a cute and dynamic storage solution. 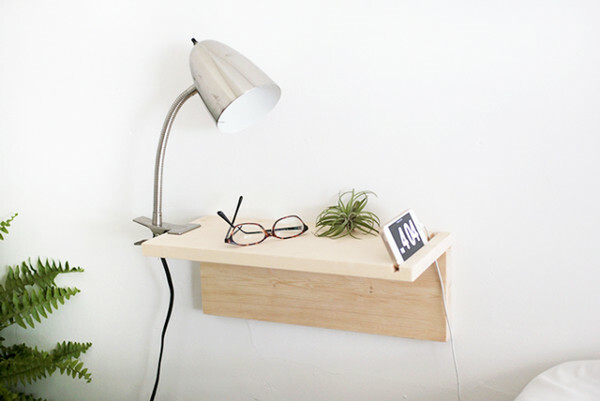 In this DIY, have all your bedside bases covered with an iPhone dock and desk lamp. 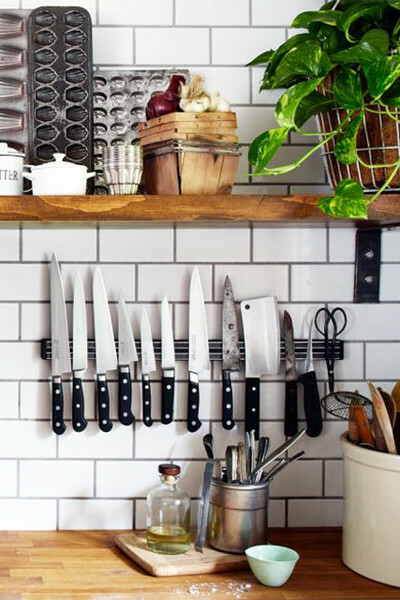 Have easy access to your kitchen knives and free up your drawer space with a wall magnet. 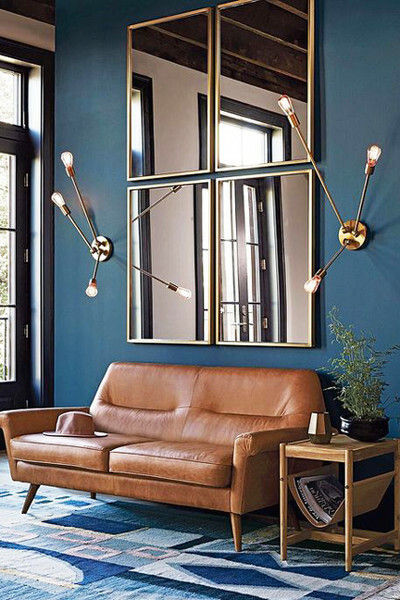 A mirror is always a great option for a room. But it’s even better when it can extend from the wall and become a table. 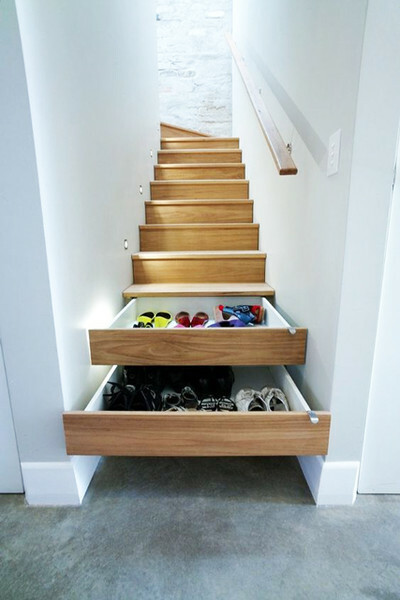 If you’re redesigning your home, consider adding cabinets into your staircase for unexpected but oh-so-useful storage. 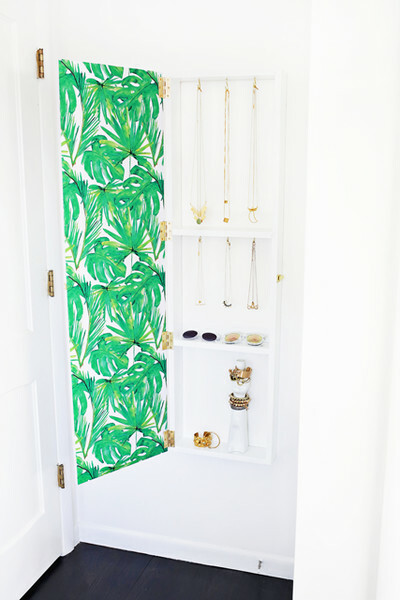 With this cool DIY, you can transform a mirror into a jewelry storage space. 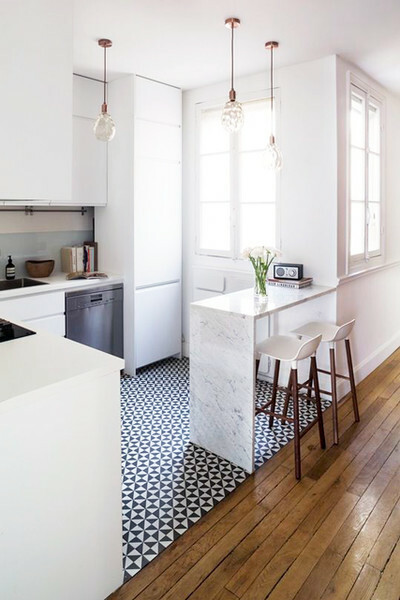 Visually open up your space by painting your walls white. 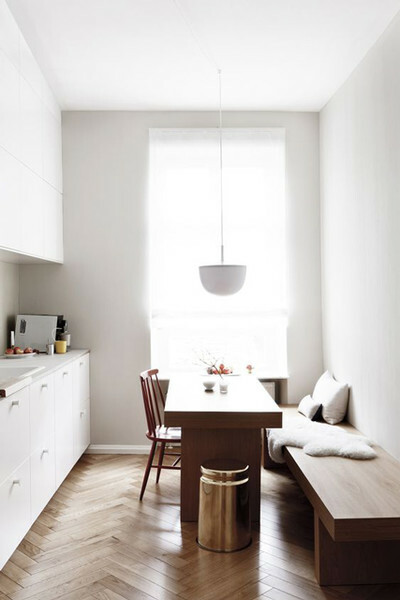 The neutral works wonders at making a home feel bigger and brighter.